BALDWIN PARK – As the nation grapples with how to keep schools safe, students at Baldwin Park Unified high schools are learning ways to strengthen understanding of mental health issues as part of an emerging mental health career pathway. Coats is working with teachers at Baldwin Park and Sierra Vista high schools to expand current course offerings into a full-fledged academic career pathway. The goal is to launch the pathway in 2018-19. The schools already offer courses in psychology, including Advanced Placement Psychology, and are home to National Alliance on Mental Illness (NAMI) clubs. Sierra Vista High started the first such high school club in the East San Gabriel Valley. The clubs host speakers from mental health fields, train students to recognize the signs of mental illness and explore stress-reducing activities. At each high school, the mental health pathway would include a new course in sociology and existing courses in psychology. At Baldwin Park High School, Nicole Melamed created an innovative psychology class that provides students with hands-on experiences. The course, now in its third year, mirrors an intensive college course taught by Melamed, who also oversees the campus NAMI Club. Melamed, a 20-year Baldwin Park Unified teacher, is leading the drive to create the new pathway. Baldwin Park High School currently offers a sports medicine pathway through its Vital Medical Academy. At Sierra Vista High, 19-year Baldwin Park Unified teacher Melanie Graf advises the campus NAMI Club and teaches the AP Psychology class. In the weeks following the shootings in at Marjory Stoneman Douglas High School in Parkland, Florida, Graf led AP Psych students in practicing stress-relieving and conflict-reducing activities. Students meditated, created calming bottles and worry stones, and explored the power of exercise, music and imagery to create calm. The school’s NAMI Club continued with similar exercises through the end of March. Students from the class and club also took part in an eight-hour Youth Mental Health First Aid Training class. The two-day class introduced students to the risk factors and warning signs of mental health problems in teens, built understanding of the importance of early intervention and taught individuals how to reach out for adult professional help on campus. BPUSD_PATHWAY_1: Sierra Vista High School students from an AP Psychology class and National Alliance on Mental Illness (NAMI) club create stress balls in one of several activities in March focused on practicing calming techniques. BPUSD_PATHWAY_2: Sierra Vista High School students from an AP Psychology class and National Alliance on Mental Illness (NAMI) club practice a visual and listening relaxation technique during a weeklong de-stressing and coping workshop in March. 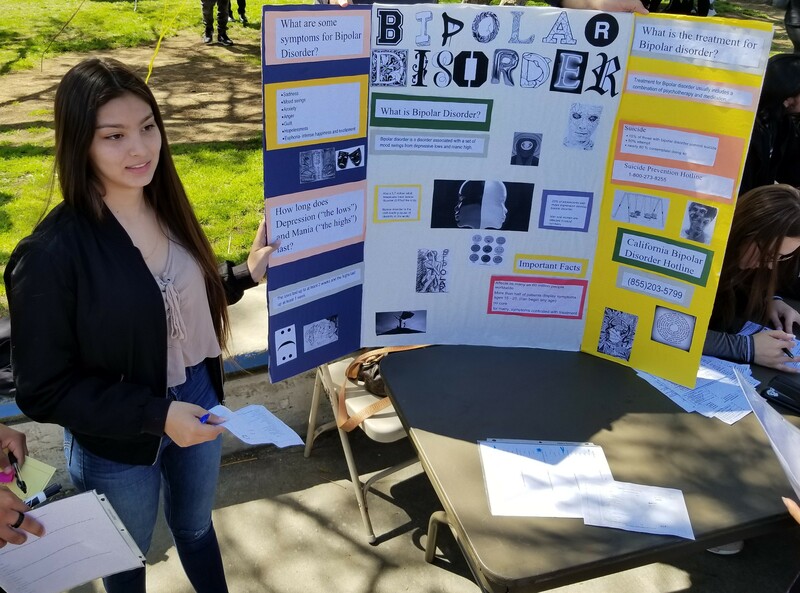 BPUSD_PATHWAY_3: A Baldwin Park High School student in the NAMI Club presents information on bipolar issues during a campus Health Fair on March 28. BPUSD_PATHWAY_4: Baldwin Park High School students present coping strategies on anger management during a campus Health Fair on March 28. Student booths included topics that ranged from Yoga and meditation to mental health first aid and specific disorders. 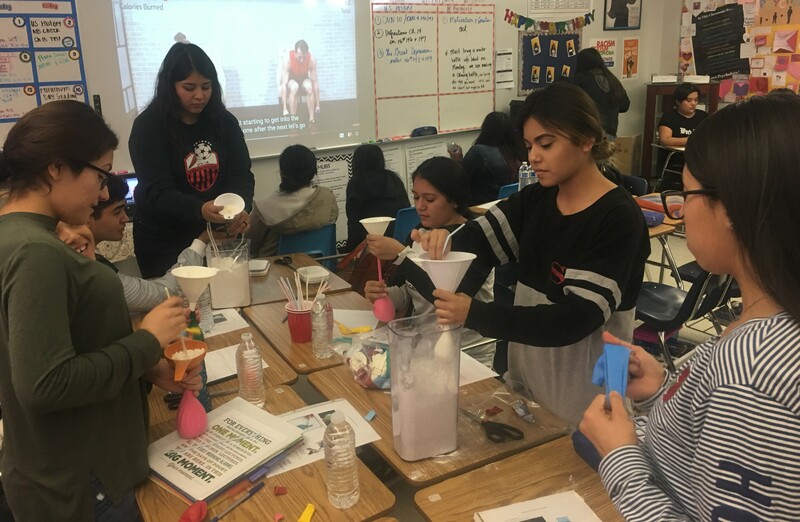 Sierra Vista High School students from an AP Psychology class and National Alliance on Mental Illness (NAMI) club create stress balls in one of several activities in March focused on practicing calming techniques. 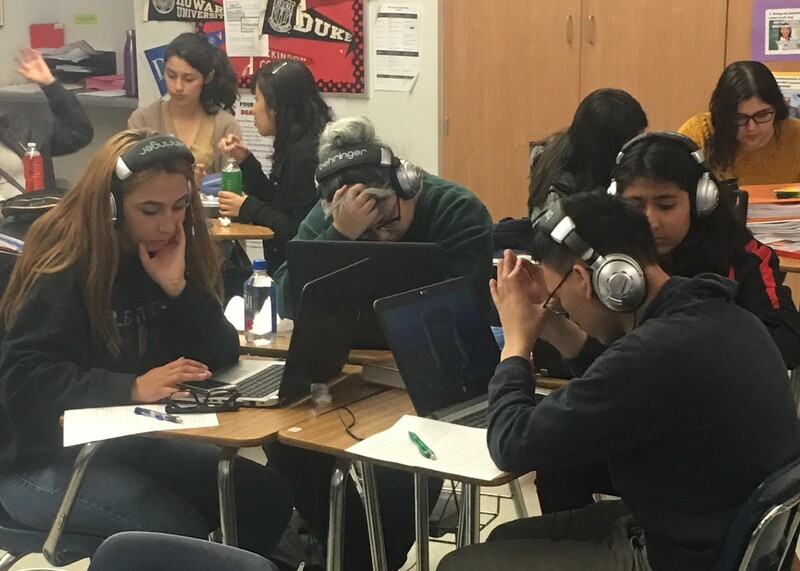 Sierra Vista High School students from an AP Psychology class and National Alliance on Mental Illness (NAMI) club practice a visual and listening relaxation technique during a weeklong de-stressing and coping workshop in March. A Baldwin Park High School student in the NAMI Club presents information on bipolar issues during a campus Health Fair on March 28. 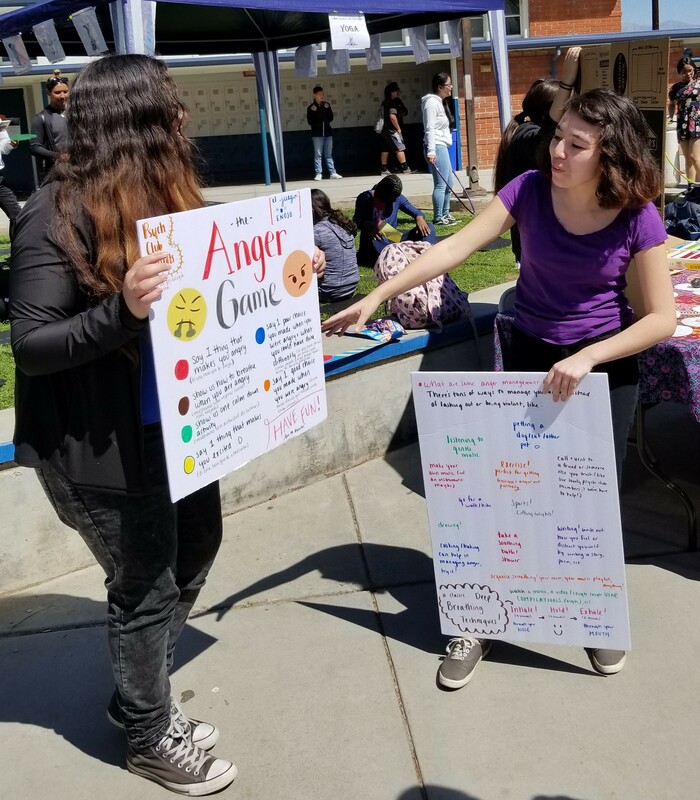 Baldwin Park High School students present coping strategies on anger management during a campus Health Fair on March 28. Student booths included topics that ranged from Yoga and meditation to mental health first aid and specific disorders.